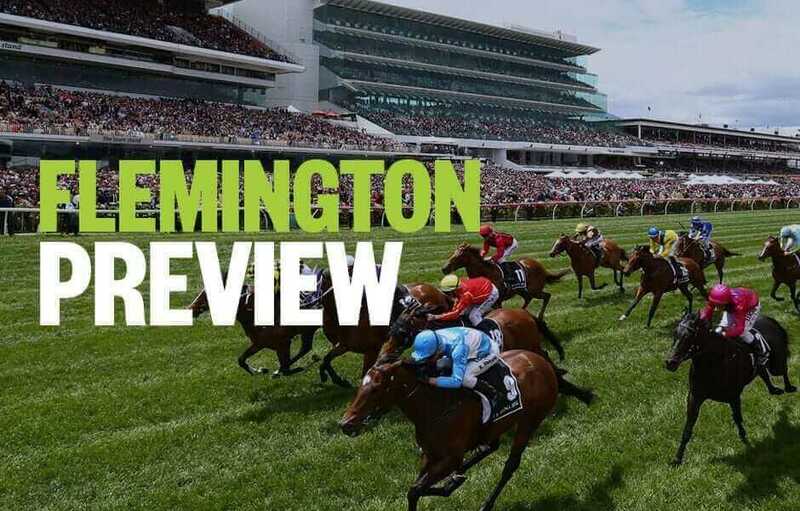 Palmerbet Racing Team preview Thursday’s Flemington meeting, with horse racing tips & analysis for all nine races on the card, including the Group 1 VRC Oaks. Good luck, punters! MEMPHIS ROCK is superbly bred and was strong on debut at stakes level when working home hard from the back to grab 4th behind Unite & Conquer this trip. Has Ryan Moore steering this time and is suited here. WEDGERTAIL has already had 2 starts and both have been strong. He made solid ground late on tracks that didn’t suit his style. This one will. CHICAGO BULL is unraced but the street corner tip is massive regarding him. Plenty say he is outstanding. Watch market. If DOUBLE THE MAGIC can get in from this awkward draw and find cover, she could be in this finish. Is up in grade but is very fit and does have a very strong late final dash. Came from last at Morphettville last start in BM 64. GUIPURE is honest and consistent and did win similar race last start. Up in weight but has claims. TIGEEN has drawn to be in the right spot all the way and is very fit. That makes her a big player today. Good race in terms of depth. Lots of strong come from behind types. A SHIN ROOK is in form and is getting better with racing. Drawn poorly but consistency is key here. ASTORIA hasn’t won for a while but that might change here. Is 4th up and last start was sound effort hitting line strongly in Sydney when closing 3rd at BM 88 level. Will love this track. AL GALAYEL is honest and his 4 wins from past 8 starts reflects that. Is very fit and should be right in this. POWERLINE is probably not going as well as this time last year when he flashed home from a long way back to grab 3rd in this race. Drawn perfectly here. Just needs clear run to be in the finish if at his best. HARBOUR GREY was strong when resuming winning easier race. Was a great 2nd this race last year so rates highly. ANDAZ has found form and does like to charge home hard. Will be doing that here. Placed at past 2 starts. SUPERHARD may well live up to his name because he is both super fit and extremely hard to beat here. Has won 3 of past 4 starts and has risen from BM 70 grade to win at BM 78 level last start. In form Darren Weir horses are always worth backing. PENNY TO SELL has returned to racing in great heart winning first up and 2nd this grade last start. Fit now and ready to perform again. TRIAGE the reserve gains a start and rightly so coming off 2 recent wins, albeit easier grade. Place hope. An open race and it’s a cracker. FAATINAH is down in grade from recent starts and has drawn the grandstand side of the course. Bound to be right in this finish as recent form is strong. KAEPERNICK resumes here and he is a gun first up. Is also drawn deep. Will get back but watch for him weaving between runners late. Is very smart when fresh. FELL SWOOP has been out of form a long time but if his old self from 2016 turned up, he’s win this by a space. Resumes here. The better horses are out of form and the restricted class ones aren’t weighted well. Conundrum. We always favour class so MUSWELLBROOK and TAVIRUN are in our sights. Both should bounce back in this easier race from recent failures. Muswellbrook will be up on pace most of the way and should be in this finish. MAGNUM OPUS seems to be getting better every run. Last start win at maiden level when on pace all way, was eye catching. Looks likely to stay all day. AMPHITRITE has won 4 of past 5 but trip is her biggest test. Not raced beyond 1600m yet but seems very strong and does run home hard late. Must be considered. Her stablemate, former Kiwi galloper VERRY ELLEEGANT worked brilliantly during the week. Is coming off a solid pipe opener when 5th this grade last start over 2000m. Won a Gr 3 this age group start prior and definitely looks the one to beat. COLLECTABLE, ARISTIA and ZAPURLER have staying potential and can find the line. Terrific Gr 1 race coming up. We keep harping on about honesty and consistency as the hallmarks for betting and we find HUMMA HUMMA here who just doesn’t know how to run a bad race against her age group. Drawn wide so should be on good part of track too. Big show again here. SCHILLDORA is also drawn deep and has won past 2 quite well in weaker grade. That makes her a player while PROPELLE looked awesome when resuming last start. Brilliant winner similar race last start. Keep safe.